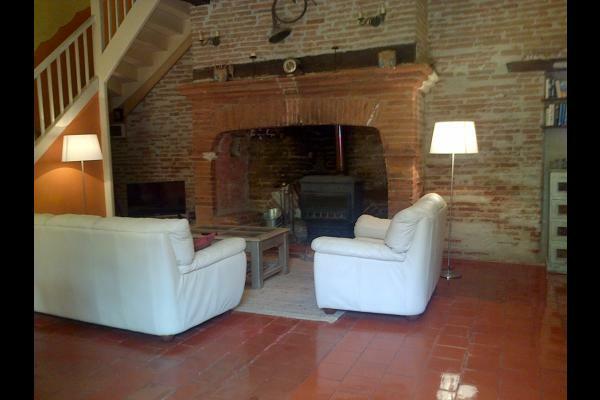 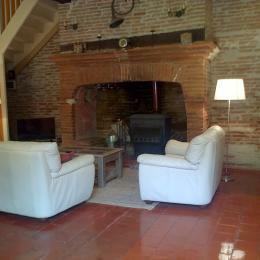 Large lounge and dining area (45m²) with inglenook fire place and wood burning stove, comfortably furnished , colour television. 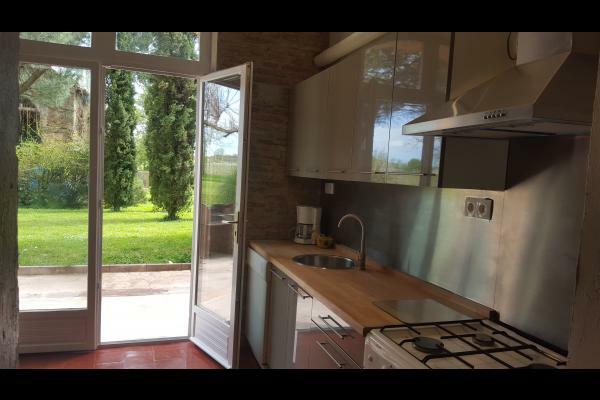 Fully fitted and equipped kitchen/breakfast room with dishwasher and microwave. 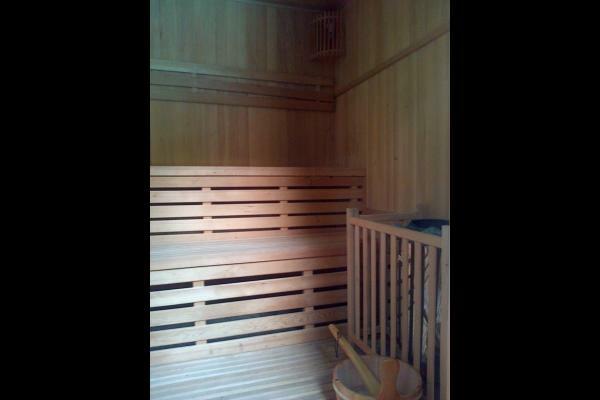 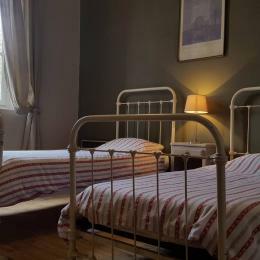 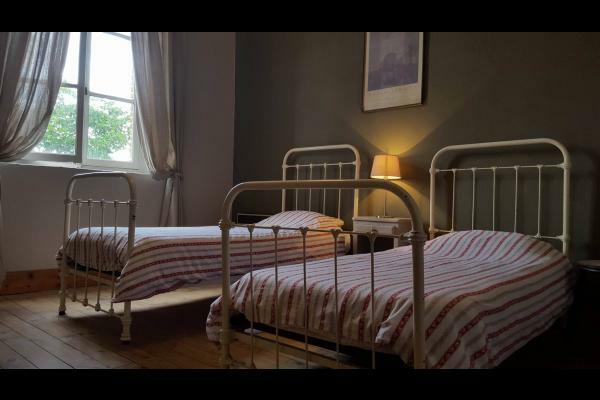 Two with 1 x 140cm x 190cm bed, one with 2 x 90cm x 190cm beds, a cot + spare single bed are available. 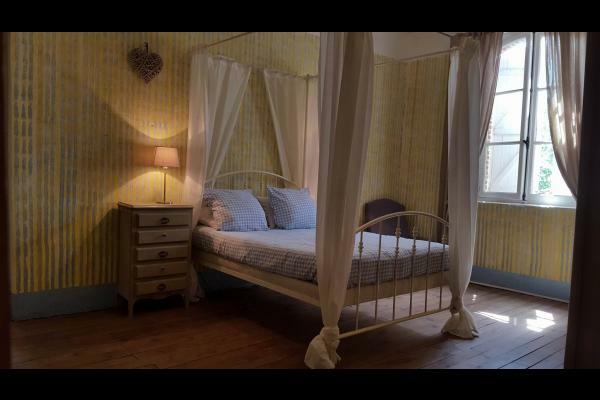 Bathroom/WC en-suite with both double bedrooms. 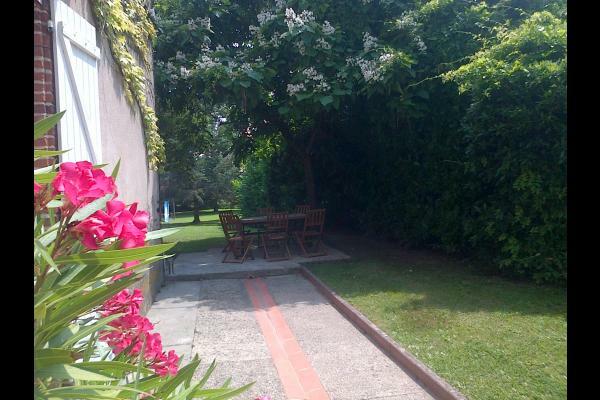 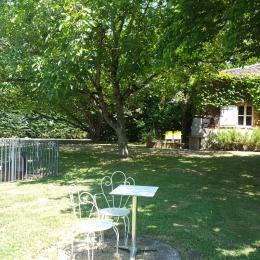 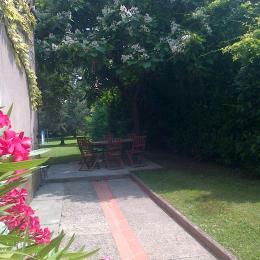 Shared use (with ajoined house only)of the large mature garden with ample shade provided by large pin parosol trees . 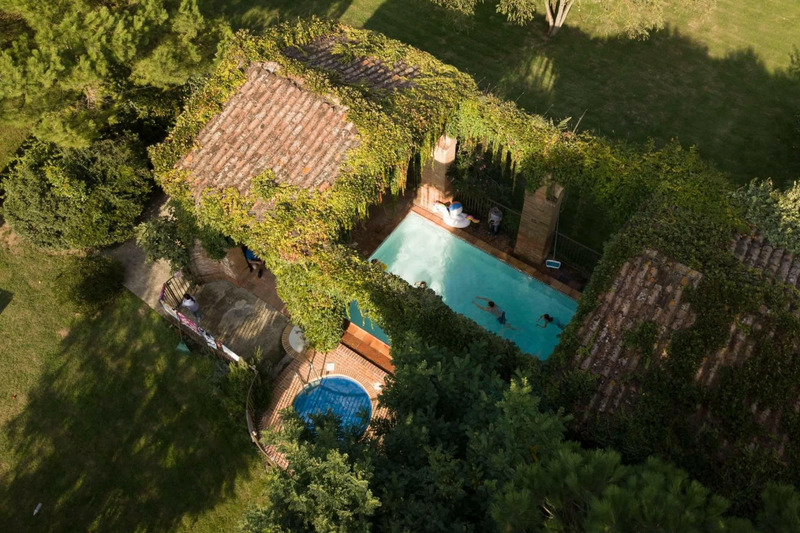 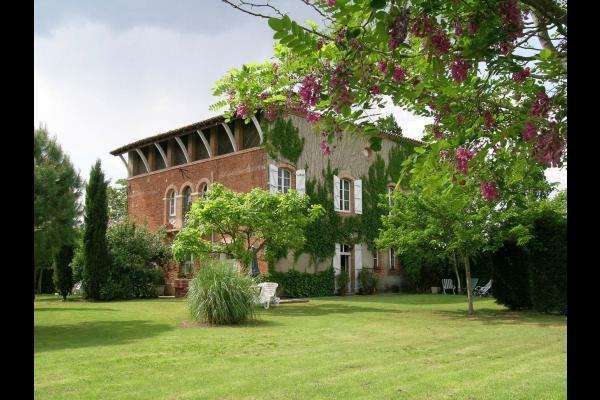 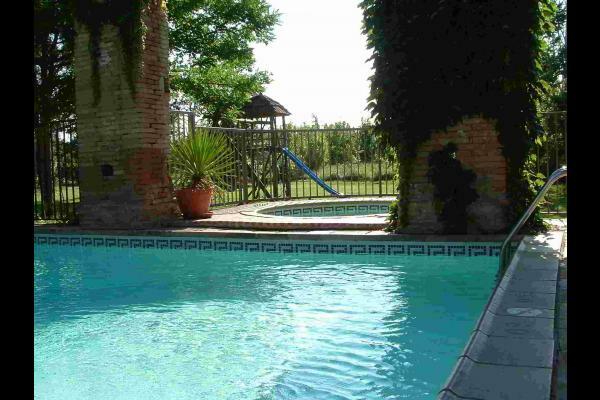 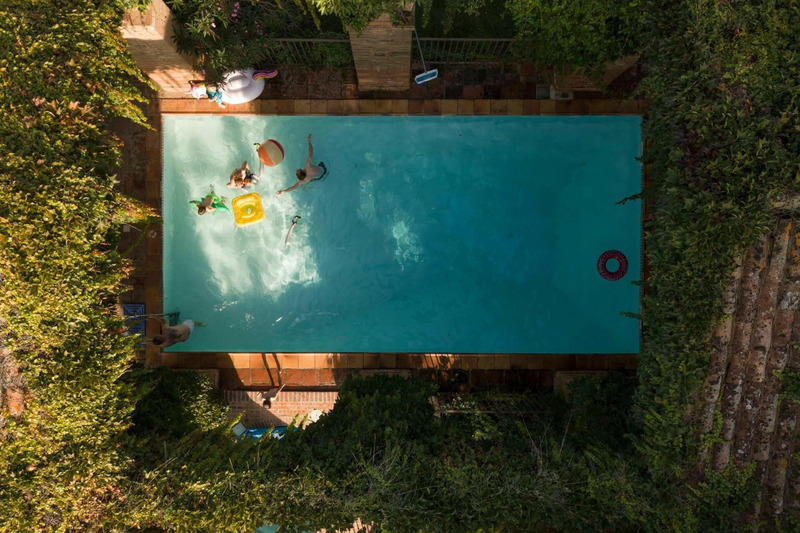 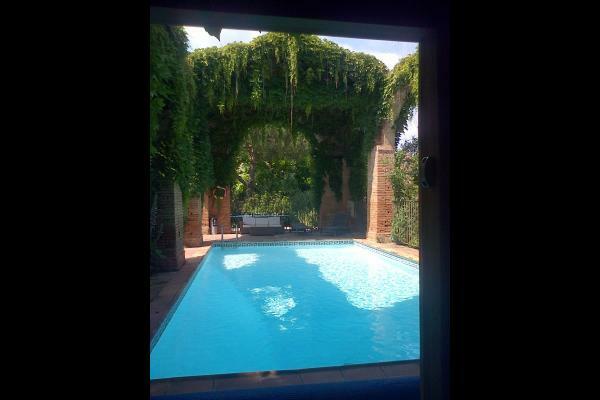 The 10 x 5 m swimming pool and jacuzzi under the beautiful toulousain brick arched pavillion. 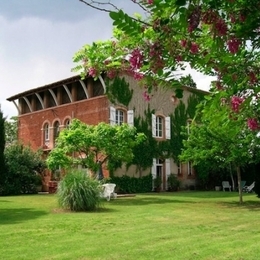 I have stayed in both of the houses in this lovely building, well situated for all amenities and places of interest.